This app can be targeted by ad networks to display theirin-appAdMob ads. This app works well with our Mobile AdLab apptotroubleshoot advertisement conversion tracking. This is a troubleshooting application developed by and for gTechAds Americas Mobile Lab. We are supporting Google's advertisingpartners debug customer conversion tracking problems related to adpromotions, Play Store installs, or re-engagement. Check and track your AdMob earningsfromeverywhere. Fast and simple. A simple, clean Admob console viewtotrack your revenues. 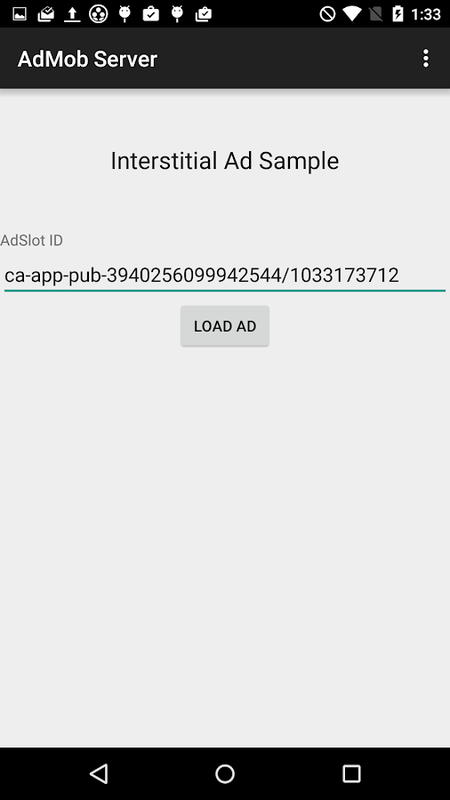 This is a simple but effective Admob appforAndroid.This application is *ONLY* for *DEVELOPERS* withad-supportedapps live! You need your admob/google login.Watch your Admob-Account with an easy and fast app. Itsimplyshows your Admob Console. Place the icon on your homescreenand youdon't need to start browser and fiddle around with bookmarksandURLs.! - The App is THAT simple, so please refrainfromcommenting/rating negative due to the fact the app is thatsimpleor you aren't a developer of an ad-financed Android App inthemarket!